LEGO Legends of Chima – more news! ➡ First of all the LEGO Legends of Chima micro-site is now live! This means no more teaser-images only, but everything you ever wanted to know about the world of Chima and its characters. Of course there are pages for all the LEGO Legends of Chima sets and Speedorz game sets, including designer videos. There is a news section with the latest updates. There are also videos about the world of Chima, the characters, the upcoming TV show, and also on how to play the Speedorz game (including how to use the cards). You can also download wallpapers, posters, building instructions, and in general immerse yourself in the Legends of Chima. ➡ The LEGO Club Magazine has its entire front section dedicated to Legends of Chima, including an awesome poster, and a removable comic-book section to get you started understanding the story behind the legends. It is interesting to note from both the LEGO Chima music-video above and from the LEGO Club Magazine that the Lion prince Laval, and Cragger (who took over the leadership of the Crocodile Tribe following the disappearance of his parents), used to be best friends, until Cragger got greedy and decided to take all the CHI of Chima for himself. The other tribes (the Eagles, Ravens, and Wolves) are basically just taking sides in the main battle between the Lions and Crocodiles. ➡ The third big LEGO Legends of Chima news item is the release of Legends of Chima video-games. There is the LEGO Legends of Chima Speedorz Online Game – a racing game that is already available on the LEGO Legends of Chima micro-site, and will also come to iOS devices. Then, there is an adventure game called LEGO Legends of Chima: Laval’s Journey, where players can fight alongside Laval and his friends. The game is currently under development by TT Games. It will be available on PlayStation Vita and Nintendo 3DS later in the year. 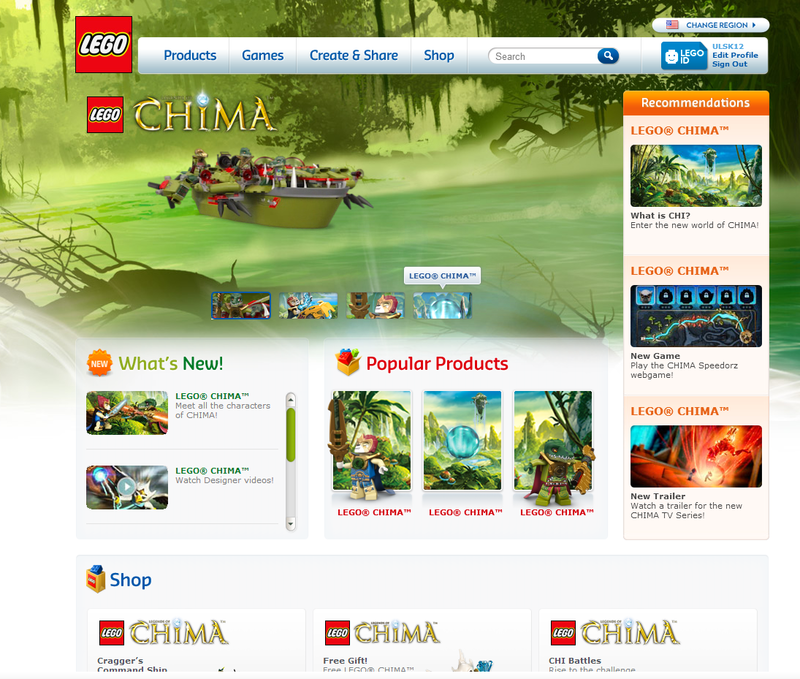 And there is also going to be a LEGO Legends of Chima Online Game. This is going to be a free-to-play game where players can customize their own world, execute missions, etc. The game is being devel0ped by WP Games Montreal and should be available in the fall. You can read the full Press Release here. ➡ The last LEGO Legends of Chima news to be aware of is that there will be a one hour LEGO Legends of Chima series preview on Cartoon Network on Wednesday, January 16th. Make sure you don’t miss that! I think I have to collect Chima! Nice! I like the Gorillas! Quoting @nace10:I think I have to collect Chima! : DITTO!!!!!!! Admin can you post the episodes on here plzzzzzz ya i love chima so does my little bro but my sis HATE it she says itz dum! Ok. I went on the site. I read some bios. I learned about Chi. NOW I WANT CHIMA!!!!!!!! Yeah, i think that it will be released on the website. They did that for the first few ninjago episodes, but i’m not sure if they did for the rest. I got the LEGO catalog yesterday. Chima is on the cover with a mini poster inside. One side is the pics of the mini-figs, the other is is similar to the ad for the cartoon network special. Plus if you spend $75 or more at LEGO they give you a free Chima 33 piece set. I think chima is going run over ninjago. The animal characters reminds me alot like the thundercats only better. I just got my first chima set Lennox’s lion attack. It’s a fun set. I wanted to start off small not sure what to think , but after putting it together. I thought this is pretty cool. I am hooked . I got my new lego catalog recently! The Chima sets and characters look great! (although the lions are kind of goofy). The number of cyborgs is impressive! Razar has a metal beak and left arm, Rizzo has a robotic leg and eye, and Krug (the dark brown crocodile) has a metal Jaw!!! It’s annoying how Rizzo is the only animal not to have a decal on his legs. Maybe I’ll just take the legs from one of the many copies of Razar I’m sure to get and use them for Rizzo’s belt and left leg. The new animals look awesome as well! Can’t wait for the series to start! Ninja-…. or I mean Chima-Go!!! You wan’t lego to be cancled FOREVER. I like both shows and you should be talking about this in the ninjago section. Um admin are you going to do lego Galaxy Squad? Well i asked again because i forgot where i wrote it the first time! there are some people who want to see it, and some people who just hate it. Because that’s the real problem in life. JUMPING TO CONCLUSIONS! Is the song by The Fold? Definitely a new band. The lead singer is entirely different and the drummer has a Mohawk! Wonder who the band is? i think the guy with the mohawk is the lead singer from ninjago! No, the lead singer is the guy with the curly hair, isn’t it? I just saw the ninjago theme song and there is two mastakes nobody had a mohawk and the lead guy in the fold has no curly hair he has normal hair. obviously no, the fold rock! those weirdo’s dont rock! has anyone called you that JAY. Gosh, Why is everyone being a fanboy/girl? Hmm… I have to say the online game sounds very familiar to LEGO Universe. I looked at the sets and I have to say they are very well done. I personally like the Eagle Castle set! Gravatar? like the icons by comments? A globally recognized avatar you have to go to http://en.gravatar.com/ enter your email and upload an image. It’s easy but since it’s the net ask your parents first. Awesome! I am definitely getting some Chima sets! So many cool sets for 2013! I want them all! How am I going to afford 2013! Plus I need to work on storage! one time kai glitched and looked like normal kai with armor. I found a link for what CHI is! Hey is Josh here. I’d like to say something to him. Has anyone seen the theme song yet. Everyone I’ll have a gravitar the next time I come. ultamate green ninja let’s talk my freind is him. he dosn’t use this blog anymore. Laval, I have deleted most of your comments and I’m putting your account under moderation for the sanity of our readers. Writing a bunch of inappropriate and irrelevant comments is not a proper use of this forum. Please write comments that are relevant to the discussion or is helpful to another member. This is not chat. Thank you for your cooperation. I went to the Burlington Mall and got two Chima sets. I got Wakz’ Pack Tracker and the King Crominus Speedor. The cannon on the pack tracker is pretty cool. I even knocked down the boulders with it. Also, seems the Bears are good, Rhinos bad. It is :). Cragger’s voice is a bit odd if you ask me. Does Cragger’s voice sound at all like Samukai’s to you in the Command Ship/ Laval’s Truck-thingymajigger commercial? Haven’t seen that. He sounds so young in the cartoon. I would like to own a Speedor! 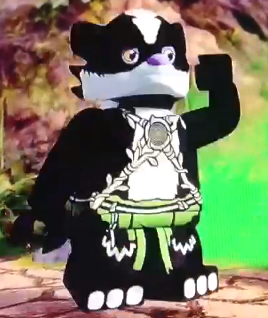 Also, imagine if the ninja from Ninjago used Chi! It would be awesome! That’s actually a great idea! ALso, imagine if LEGO would merge Ninjago with Chima. That would be crazy awesome! I am planning on getting Crawley’s Claw Ripper. It’s a pretty cool set. It comes with Crawley and Leonidas. But there is one problem,it only has 1 weapon. Leonidas has a type of sword called a valious. It also comes with the lion tribe’s chi. I may get a speedor so I can give one of the assorted weapons to Crawley. I am really looking forward to the Legends of Chima sets! OMG I WANT ALL THE TRIBES MINIFIGS! I HOPE THEY RELEASE THE BEAR, GORILLA & RHYNO TRIBES BY THE END OF THE SUMMER! I bet there will be tribes of animals that in the live in the ocean! As far as tribes…the official Lego website states that the tribes that exist within Chima are Lions, Crocodiles, Ravens, Eagles, Wolves, Bears, Gorillas, and Rhinos. Skunks and any other animals were not listed so it can be safe to assume that these nine animals will be more than enough material to create sets around. As of right now the Wolves need some more sets as they only have one. Guys I HAVE AWESOME NEWS you can watch Chima early on youtube!!!!!!!!!!!!!!!!!!!!!!!!!!!!!!!!!!!!!!!!!!!!!!!!!!!!!!!! I think the pilot episode is about how there is still peace but the episodes after are about the “Chi War”. Guys do you know that this is cragger to. Pause it when he steels the chi frome laval he has the crown on you see and he has a white eye. he must put the crown on! I got some clips how do I put them on here? He has the crown that his father crominus wore but crominus and his mother crunket went missing and he blamed the lion’s which explains why he is wearing the crown and attacking the temple and stealing chi also his white eye is a scratched out eye he has 1 good eye. That would be really cool a charmeleon tribe. Yeah, I saw that too. Pretty funny! I just got the raven glider and it is sweet! it is only about $12.00 but really cool! Today is the day! ill have to wait longer until 8 or 9 for someone to upload it but it is a few hours away. Ok i will,ninjago episodes uploaded by 8:30 to 9:30 so about 2 hours. Episode 2 is starting now i guess..nothing of episode 1 on youtube yet,i hope ninjagohd2 who uploaded ninjago uploads chima. Yes that is why he removed them. Can someone show the story of episode1/2? It is copyrighted 🙁 ill have to watch the episodes on teletoon probally. Check these out the first episodes!! Wow that was where i watched those 2 episodes 2 hours ago looks like they will upload them all. can I uplaod these on youtube? My mistake it looks like the website i was on but it is a diffrent website. So the Legend Beasts. No Wolves, Ravens or Crocodiles. Lions, Gorillas, Eagles, Rhinos and Bears. Also, Skinnet could be a martial artist of some kind. Where can I buy Lego Club magazines? Maybe theres more lego Chima episodes at Naver.com justd like Ninjago episodes except there in korean. Hi admin how old is laval? Hm… in different cultures the coming-of-age ceremony comes at different times for boys. So he could be anywhere between 12 and 18 I would say. Next post: 2013 LEGO sets video commercials!